The next piece of promo is an official image from Spider-Man: Far From Home revealed by United Airlines. 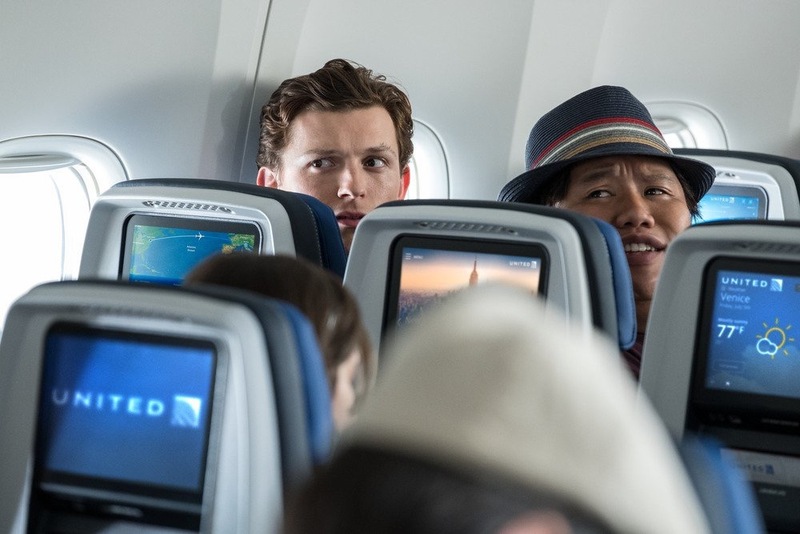 This image features Actors Tom Holland as Peter Parker and Jacob Batalon as Ned Leeds on what looks like a flight to Venice. Tagged Marvel Cinematic Universe, Marvel Studios, MCU, Movies, Poster, Sony, Spider-Man, Spider-Man: Far From Home. « Funko Sale at WB Shop!